Dr. Spock, Freud, and Grade School Soccer - Are You Finished Yet? Both of my kids started soccer this past week. Naturally, that got me thinking deep philosophical thoughts about life and parenting. That’s normal, right? The world of children’s sports is one of those arenas that tests my parenting skills. I have some really strong feelings about the ways in which we school our kids in competition, and I have also found that involving my own children in sports has led to the surfacing of some lingering insecurities over never being “a cool jock” in the days of my youth. Neither of these are things I want to project onto my kids. But I have to admit, it was hard to quell the emotion I felt at Grace’s first soccer game the other day when I watched her sit on the bench for over half of the game. I will be the first to admit I have absolutely NO delusions about Grace’s talent as a soccer player. She is not the fastest runner, she needs a heap of lessons on how to be more aggressive, she’s much better at looking like she’s doing something on the field than actually doing something on the field, and she is likely spending most of her time admiring the other teams’ hair ribbons than paying attention to the goings-on of the game. But her team is not playing for Olympic gold, where the best players should be the only ones playing. They are simply in a second grade soccer tournament. My friend Nicole wrote a really great post about participation trophies, and how it seems we have created a climate for kids where they get rewarded for just showing up, not for actually being good at something. I couldn’t agree more, and even commented, “Kids need to experience failure so they don’t go out into the world thinking they will win at everything…and this is the perfect time for them to experience failure because we are right there to help them through it.” (I know, feel free to award me with my child expert degree.) So after feeling a little upset that Grace seemed to have landed the role as team bench warmer, the thought crossed my mind that maybe I was being hypocritical. Everyone can’t be the star after all. (You can revoke that child expert degree now.) She didn’t even care that she probably had the least amount of playing time than anyone else on the team. Heck, I don’t think she even noticed. Parenting lesson learned: don’t make an issue out of non-issues. Man, apparently being second-string on the freshman basketball team stung my subconscious more than I ever thought. This parenting thing is hard. Coach, I think I need a sub. I agree, kids’ sports seems to be one of those areas that I could never decide what was right and what was wrong. But something didn’t fit with me. I guess because I was never an athlete myself until I found tennis! (which was much later) I guess my philosophy for team sports was: win or lose did’t matter but trying did. Heck, winning can be fun, too! As a youth girls soccer coach, I agonize over how much playing time each player gets and do my very best to plan it in advance and then execute the plan. Without fail, someone doesn’t show up or gets hit in the stomach or is too tired or any number of child ailments and the great plan goes out the window. Then I have to wing it and they are all wearing purple with ponytails and I can’t remember who was in and who was out and the kids are all asking for something different and the next thing you know the whistle blows and the game is over. I would venture to guess your coach really tried to keep it even and for some reason it didn’t happen. I may be wrong, but I’m glad you are giving him/her the benefit of the doubt. In my experience, the girls are more interested in the social and/or fashion aspect of the game and have no idea if someone played more than they did. 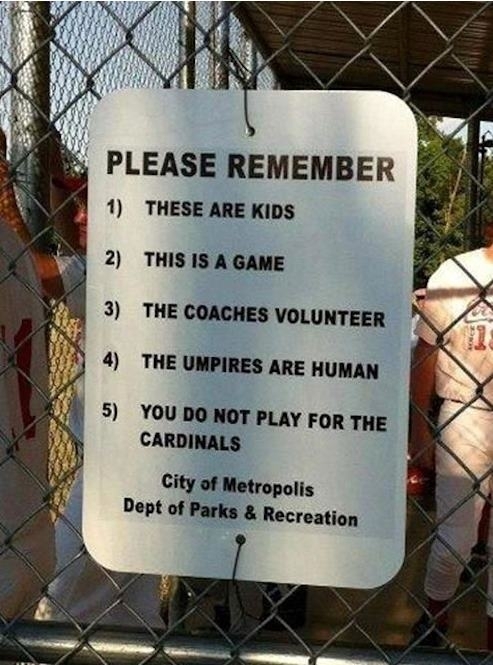 Be that parent that keeps it in perspective and enjoy the game!! Thanks for giving the coach’s perspective! 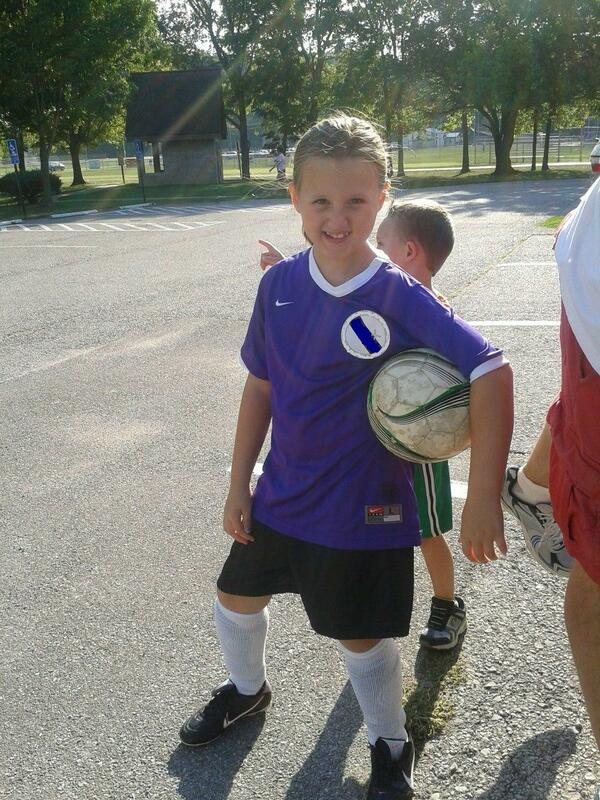 And I’m pretty positive that for Grace, the soccer experience is probably about many things OTHER than soccer. And you bring up great points about “the best laid plans”…we all know how that goes. That was probably my biggest worry about posting this in the first place. Rationally, I know her coach wants everyone to play and have fun. But I also wanted to be honest about that gut emotion I felt at the time, because I know every parent who has had a child playing sports has probably felt that at one time or another. I definitely believe that youth sports is a great experience, especially if everyone involved keeps things in perspective. It’s easy to watchyour kids succeed. Watching them fail is probably the hardest thing on earth. Very true. But I know it’s good for them to fail, no matter how hard it is to watch. EEK! I know. I mean, once we post this stuff, it’s out there…forever. I have definitely nixed a few posts for that very reason. And I’m with you on the blogger’s block. I’m very inconsistent. I know the rule is to post at least once a week (most say TWICE!! ), but I just don’t like putting out half-hearted stuff. And frankly, life just gets too busy sometimes. Unless someone wants to start paying me for this 🙂 Then I’ll write everyday. Thanks for comment. I’ll be looking forward to whenever that blogger’s block lifts! I’m SO with you about teaching kids that winning isn’t everything…especially because our oldest is super-competitive in most everything he does. We’ve literally been working on this with him since he was 3 and losing at Candyland. For the first time this year, Bennett is on a competitive baseball team. I’ve had a blog post brewing about it for the past couple of months, and still plan to post on it this fall, but I’ll summarize here. 🙂 I had incredible anxiety over putting him on this team he was asked to be on, because of the commitment and the intensity. I felt like (and said to Matt many, many times), “We aren’t THOSE parents.” I worried that other parents would be hypercritical of my son’s errors. I couldn’t have been more wrong. It has absolutely been the most positive experience as a parent of a kid on a team that we’ve ever had. Totally supportive parents, an incredible sense of team, excellent coaching, etc. I could go on and on, but I’ll save that for my post! The bottom line, though, for me, was that he still thought it was fun, and learned to work with other kids he didn’t know before practices started. So many lessons in those experiences! Glad he had such a great experience. As Diane said in an earlier comment, everyone just neeeds to keep perspective and you’re golden! And thanks again for the post that helped inspire this!